C.A. 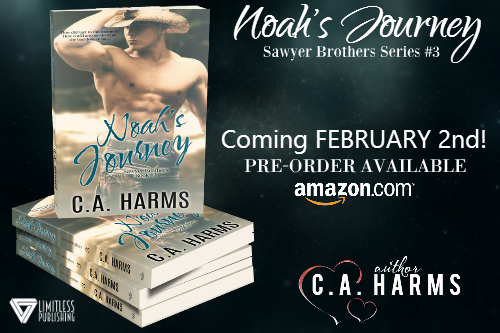 HARMS ~ Noah's Journey ~ Pre -order! The years that were taken can never be repaid. The memories stolen can never be returned. But I had to move forwardâ¦for him, my son. Noah had spent years wondering what he could have done differently. Wondering what heâd done wrong to make Stacey leave. The heartache from her absence and the what-ifs of their past eventually turned to angerâand then disgust. It took years for him to move on, and once he did, his past came thundering back, revealing a secret. A secret that would forever change his future. Alena had waited for the chance to have more with Noah. He was an enigma, a man of mystery, yet she wasnât quite ready to give up on him. She knew there was more to him than what he allowed those around him to see. She was drawn to his charm and his calm nature. With an uprooted past of her own, she craved a little stability more than anything. But when things between them finally begin to grow into more, their relationship is tested. Will it all be too much for Alena to handle? 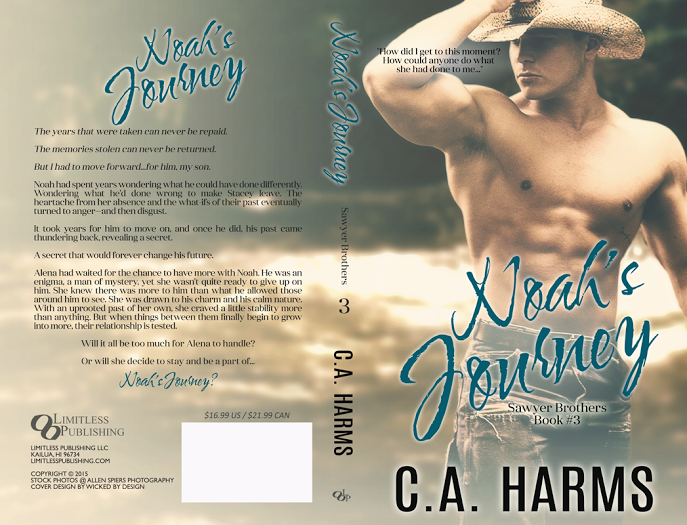 Or will she decide to stay and be a part ofâ¦Noahâs Journey? 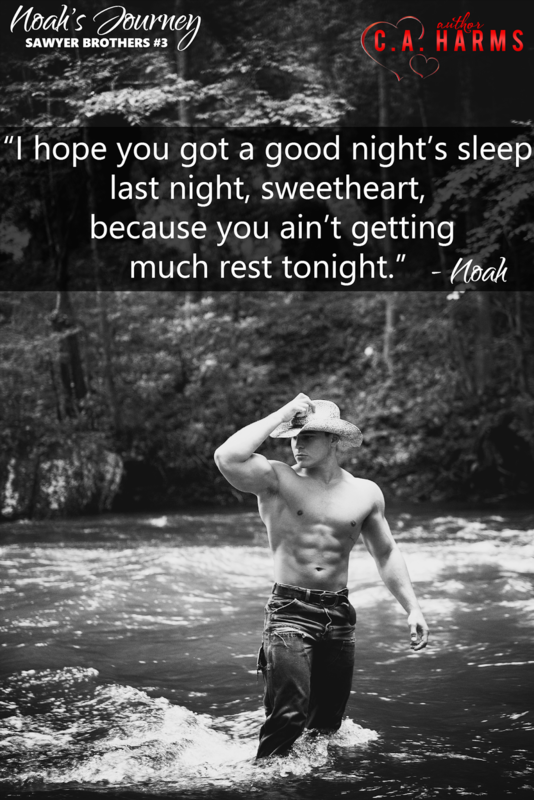 One-Click the SAWYER BROTHERS SERIES TODAY!